Spring will officially have sprung on March 20, and we couldn’t be more excited for the warm weather, sunshine and cleaning potential. Americans love cleaning in the spring—about 66 percent of them say they partake, according to a recent survey—but simultaneously find it hard to get motivated. One of the very best ways you can get yourself pumped up about sweeping, mopping, dusting and purging is to make a priorities list and work your way through it. Here are some of the top cleaning and home improvement projects you can add to your seasonal bucket list. 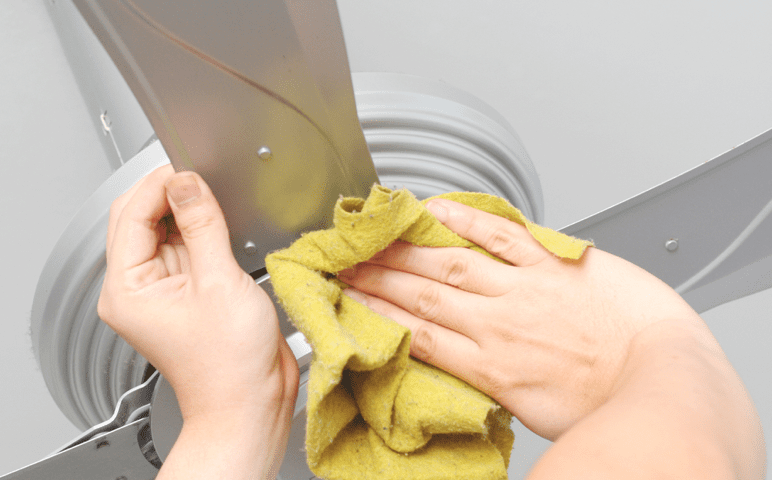 Air it Out: Rug-Beatings and Deep-Sweepings—We tend to deep clean in the spring because we shutter the doors and windows during the winter, trapping in the dust, dirt, and allergens. When it’s finally time to crack the windows, the first thing you want to do is tackle all the dust that’s settled to get rid of that dingy, stale feel. Remove any removable floor coverings—area rugs, runners, welcome mats, etc.—and take them outside for a good beating and some deep vacuuming. Inside, dust all surfaces with a microfiber cloth before giving the floors a thorough sweep. Prepare to Chill: Ceiling Fan Upgrades—Did you know that you’re supposed to change the way your ceiling fan rotates in the spring? When the weather starts to warm up and your goal is to cool your space, be sure that your fan is moving forward (counter-clockwise) to maximize the cooling effect. Now’s also a good time to clean and upgrade your fans. Add a new fan to the porch or patio or upgrade your old, energy-hogging models to save you some money on cooling. It’s always a good idea to replace ceiling fans in the spring so you’re not scrambling when it’s especially hot. KonMari for All: Part With the Excess—Are you, as much of the world, crazy for KonMari? The ultra-popular organization method—made famous by Marie Kondo in her book The Life-Changing Magic of Tidying Up and it’s coordinating, new Netflix show—can help you do a massive purge so that your space is prepped for deep cleaning and big DIY projects. The idea is that you keep only what “sparks joy” and get rid of everything else. Once you’ve purged the excess, you can get serious about installing new storage racks or investing in storage cabinets and closet systems. Efficiency Upgrade: HVAC Maintenance—Like the ceiling fan, your home’s air conditioning system does the vast majority of its heavy lifting during the summer months. One of the best things you can do to prepare for warmer weather is to make sure that it’s operating properly and efficiently before it kicks into high gear. This means having an expert come out for an inspection and, possibly, making some replacements and upgrades. You may want to consider repairing or replacing your economizer to ensure that your unit is running as efficiently as possible. Revel in the Ventilation: Paint and More—Now that it’s comfortable enough outside to keep the windows open for prolonged periods, you can use some of those chemical cleaners and paints that you might avoid when you’re cooped up in the house. Most professionals recommend doing any big house-painting projects in the spring because it’s warm enough to ventilate with open windows but dry enough so it doesn’t take too long for the paint to dry. You can also begin to use some of your harsher cleaners—in moderation, of course—as long as you’re in a room with open windows. Get Ready for Rain: Basement Waterproofing—Basement waterproofing can be a huge and costly job, but it’s vital for keeping things dry, especially in old homes. Spring is the best time to get the basement waterproofed, especially if you notice water pooling or puddling after a heavy rain. If you’re not able to invest in a whole waterproofing job, which can run you as much as $10,000, at least make sure that you’ve got the moisture in-check with dehumidifiers. This will help prevent mold, mildew and gross odors. Lighten Up: Install Outdoor Light Fixtures—Of course, a big portion of your springtime to-do list will be outdoor tasks, like mulching, gardening and scrubbing down the patio furniture. While you’re thinking about fresh-air living, consider the lighting. Now is a great time to take stock and install all types of outdoor lighting—security lights, landscape lights, architectural uplighting and general lighting (and make sure they’re all LED fixtures to save you some money on your energy bill). This way, as soon as it’s warm out, you’ll be able to enjoy the porch or patio to its fullest. Cha-Ching: Focus on High-Value Upgrades—If you still aren’t sure where you should funnel your DIY dollars, consider doing a few small things that can help increase the value of your home. You might be surprised to learn the highest payoff upgrades. 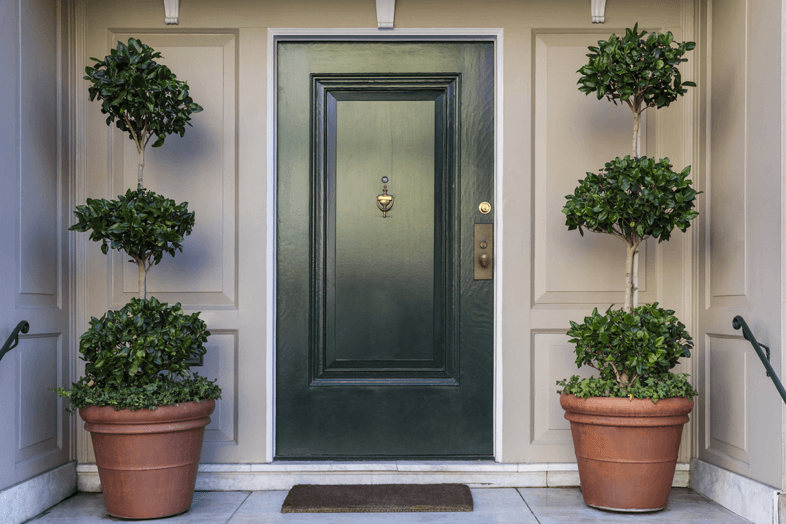 For example, the experts say that painting your front door black could raise the value of your home by $6,000! Other great ways to boost your home’s value without a huge spend include landscaping, painting, building a deck and finishing your basement. Spring is the perfect time to start checking off that ever-growing chore list, but if you’re feeling overwhelmed, don’t fret! Many of these jobs can be done just as effectively when the summer rolls around, so don’t try to cram them all into a few short months. 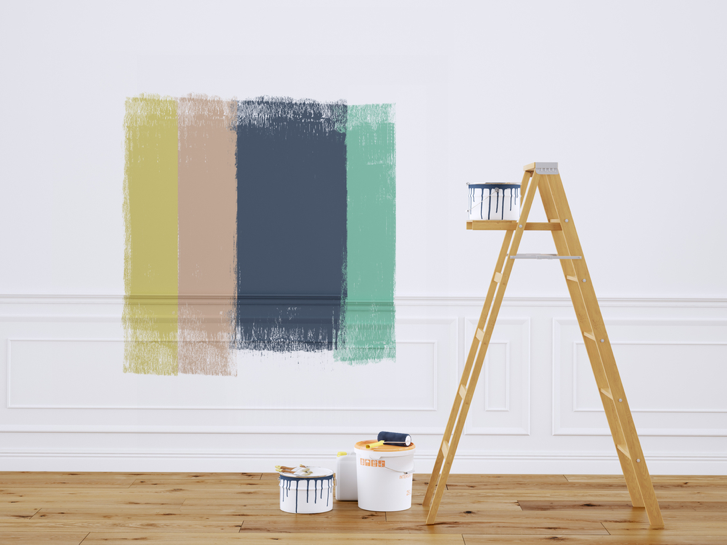 Focusing on the highest priority spring home improvement projects, both big and small, will help you make the most out of your living space so you enjoy it for longer.